If anyone else is also looking for an answer to this, here is what I ended up doing - Instead of using a gallery block, I made a gallery page to which I added my videos, their titles, descriptions and thumbnails. A note (depending on when you read this post) - if you already know how to add YouTube and Vimeo videos to Squarespace - by simply adding the video URL to the video block - there's a good chance that Squarespace will make it so that you can do the same with Facebook video URLS in the future. Excerpts & Thumbnails. 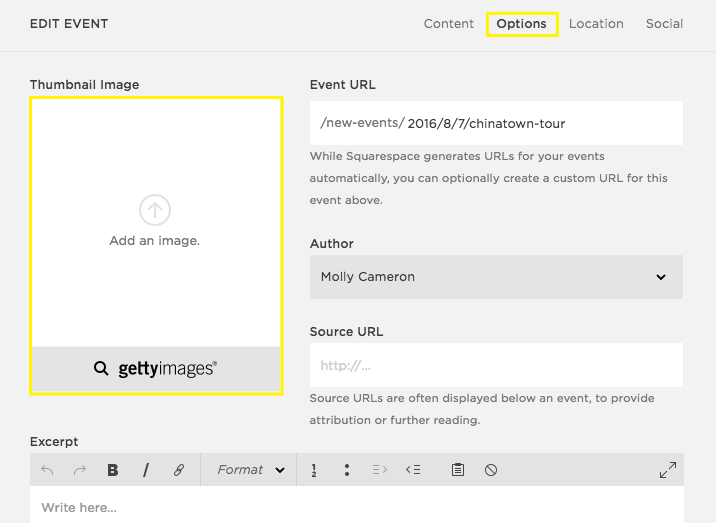 Using Excerpts & Thumbnails with a Squarespace feed source will allow you to pull in the word content and description as excerpts, however, the thumbnail will not be imported.